Man, it’s difficult being a kid now. Or rather, taking care of one. Toys are more complex these days, and they definitely cost more. While I was pretty contented with a stuffed cat toy I had back when I was a wee child, about 80% of today’s toys require batteries, and assorted add-ons. Each sold separately, of course. With great toys, comes spoilt kids. Heck, why would you need an iPad before you’ve learnt to construct a proper sentence? And why should kids get LEGO (which is very expensive these days) before they have mastered the concept of cleaning up a room? It’s hard to educate children these days when they have it so easy. 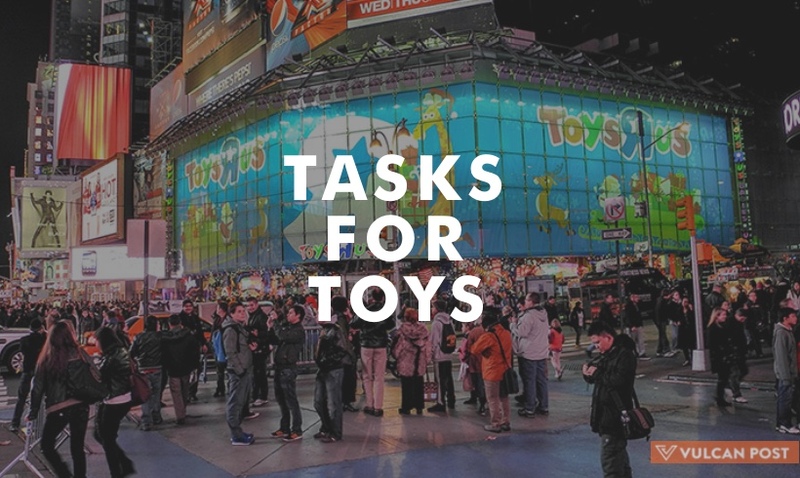 So in time for Christmas and the season that keeps on gifting, mega toy store Toys R Us, with the help of Ogilvy & Mather Singapore are launching a local mobile app Tasks For Toys. This app lets kids get rewarded with toys only after they complete a set of predetermined tasks made by their parents — because nothing in life comes free and easy, and they best learn early. Before you get started on the life lessons that Tasks For Toys offer, you’ll be asked to enter some details for your child to set up a ‘profile’ for him or her. Then, it’s off to the best part of the app, where you select a toy from the store. You can set up tasks for your child to complete, which works based on a point system. 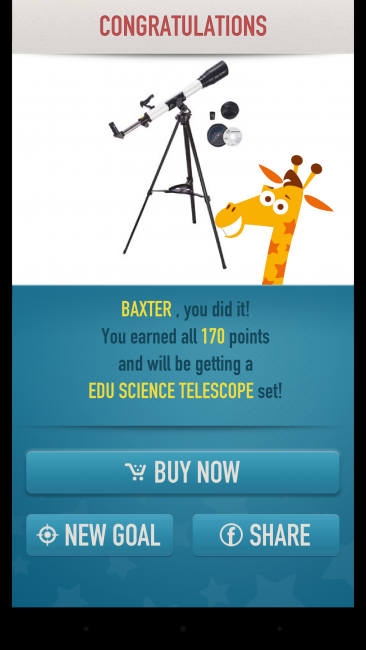 Once your child hits the target number of points, it’s down to you as a parent to honour the agreement — the ‘Buy Now’ button means you can do it instantaneously. There’s a great range of toys available for rewarding on the app, from $200+ LEGO sets to dolls, so it’s even fun for you to peruse the categories with your child. I tested out the app, and was pretty pleased with it. Not only does it do the clocking in of points for you on the app, it also prompts you to talk to your child about the reward and how they will be able to attain them — communication +10. It’s a pretty good initiative for kids and parents, especially with families now being more digitally savvy and choosing to shop on the go. And besides the efficiency factor, it’s also a great way to educate your kids on hard work and the banality of the reward system. Life is tough, son.